Today in this post I will tell you how you can remove third-party app or website which has access to your Google Account. If you used third-party apps or websites which you have given access to your information on Google account (e.g. : Chitter.im or Facebook Friend Exporter) and now you don’t want to use those apps and want to remove there access from your Google account information. And you don’t know how you can. 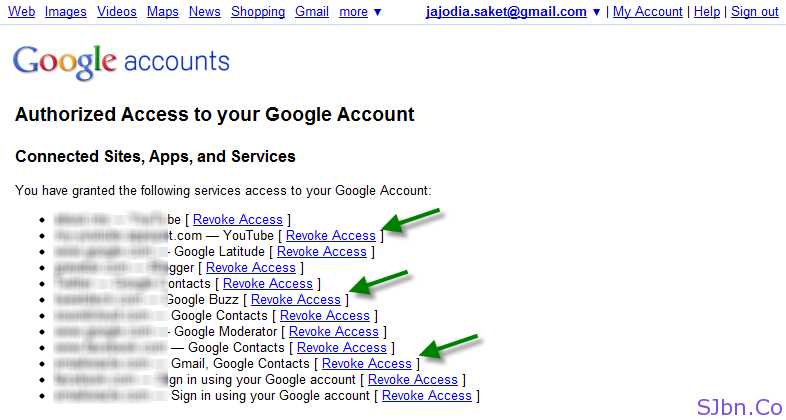 Now that app or website will not able to access your Google account information anymore. If you have any question or problem let me know. How do you reverse a revoke? Or add to the list? As you did for the 1st time when you signed-up for it.